Not long ago, in-app purchases in games, usually "freemium" games, helped players advance in a game, such as accessing new levels or getting special weapons or abilities. For example, in Madden NFL, you can buy packs that include highly ranked football players to enhance your team. In Asphalt Nitro, you can buy a new or upgrade your existing race car. In Pixel Gun, you buy coins to buy weapons. You get the picture. We are now witnessing a massive shift in the marketplace from paying for something that offers functional, rationale benefits that give the player an advantage to more self-expressive, emotional benefits, such as how your player looks that offer no competitive advantage really. It is taking personalization or customizing one's avatar to a whole new level and developers are making $$$! Fremium games Roblox and Fortnite are 2 great case studies of this gaming trend. Roblox is a massive, multi-player online gaming platform where anyone can develop 3D games on it. The company has been around for about 10 years, but has picked up steam in recent years and supposedly has over 50 million active monthly players. 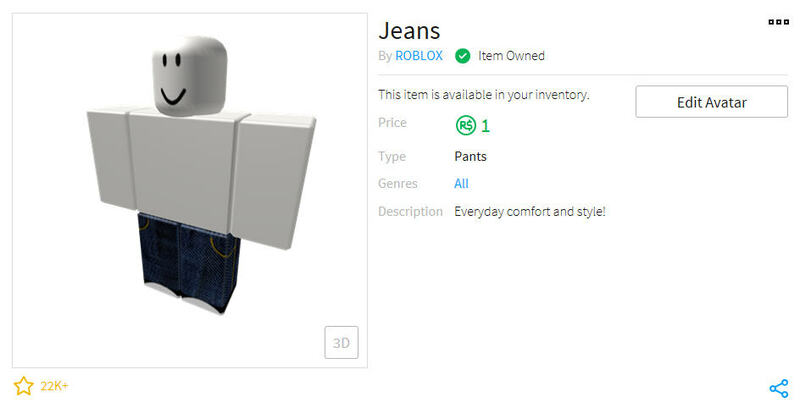 The Roblox Catalog is the main e-store that sells all kinds of things to "dress up" your character. You can mix and match different clothes, faces, heads, accessories, animations, and even shoulder pets. There are millions of items in the Catalog (237 million at the time of this post), so it's extremely rare for 2 customized players to look the same, which is cool. 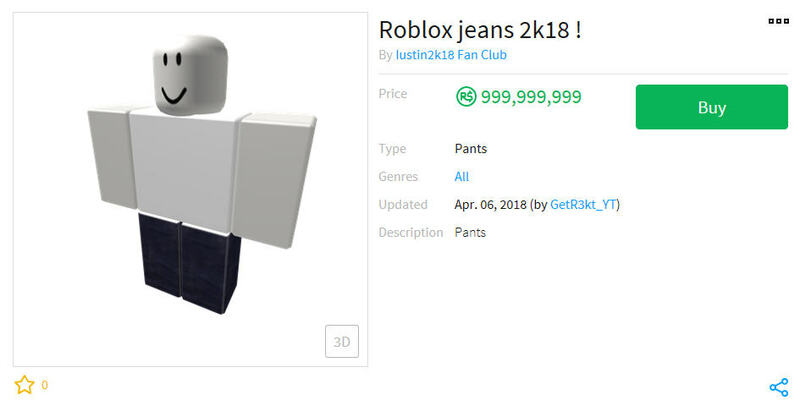 Roblox and 3rd-party players can offer items for sale in the Catalog. Roblox currency is known as Robux (R$) and conversion is about US$10 = R$800. Lots of Roblox-created items are priced fairly and affordably, including lots of free items. But when 3rd-party players sell items, the price variance can be quite huge. For example, a pair of jeans that look similar can be over-priced. But I guess that's the economics of an open marketplace. For about US$5-$15, you can actually do a pretty good job customizing your avatar. But nothing you buy in the Roblox Catalog actually improves your game play in the games. Within the games, developers can also sell items unique to their game, such as Jail Break, that does enhance game play. Unless you've been living under a rock without Internet connection for the past 9 months, you've probably heard of Fortnite. Within Fortnite's Item Shop, one can purchase emotes (a.k.a., dance moves) and skins (a.k.a., outfits) with real money where $1 = 100 V-Bucks. Skins usually cost $8-$20, but most users get the $12-15 skins. Emotes normally cost $2-$8. Battle Passes, which are bundles of skins, emotes, and other stuff, usually cost $10. Fortnite also sells different gliders and pick axes, which one might think enhance your skills, but in fact they don't. They all function exactly the same, but look cooler -- like this Dragon Glider for 20 bucks!!! The 3D graphics and animation on Fortnite are significantly better than Roblox, but there is less uniqueness (due to less combinations of mixing and matching different parts) of your avatar than Roblox. Fortnite has also perfectly tapped into the vanity of players. No one wants to look like a Noob (what gamers call a Newbie). Fortnite intentionally gives you a basic character that has a default skin to start that everyone recognizes, further motivating players to upgrade. Fortnite Noob: Don't be this guy! And then there are the emotes. Kids across the country are doing these immensely popular dances every where. Have you heard of Orange Justice? Check out YouTube for "Fortnite emotes". Also, we're not talking about 99 cent purchases anymore. Kids (i.e., parents) are spending a month's allowance or gifts from grandma on what I consider very high ticket items. Moreover, from the parents and players I've spoken to, many are repeat purchasers. It's quite easy to spend $100 on Fortnite in a very short amount of time, compared to Roblox. And good luck spending less than $10 a pop on Fortnite! Players (and parents) are emptying their wallets faster than ever. Fortnite supposedly generates $300 million per month now in revenue. With over 40 million monthly active users, that's an average of $7.50 per active player per month. Quite impressive! Fortnite has also employed a great psychological tactic to drive more sales: scarcity. All items in Fortnite's Item Shop are on sale for 24 to 48 hours, adding to the hype and frenzy. While some items may return later in the future, there is no guarantee. So as you can see, Roblox and Fortnite are leading the trend towards selling purely superficial, cosmetic items to personalize your avatar, which merely gives you bragging rights among your friends and squad, but, not actually offering any real advantage in game play. And it will cost you a pretty penny to do so!